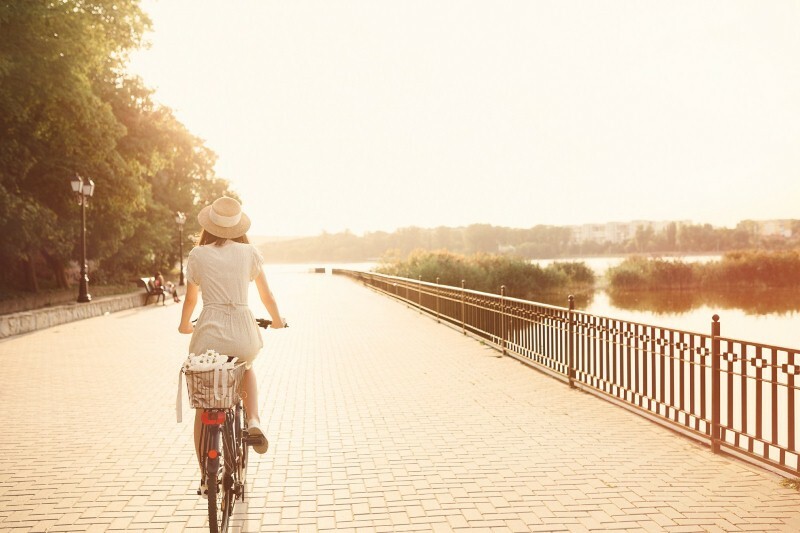 The advancement of technology and transportation over the years has helped make us less and less active. In the world of work, for example, many of us spend our days sitting in front of a computer screen, getting up only infrequently throughout the day, and often having a sedentary lunch break, too. 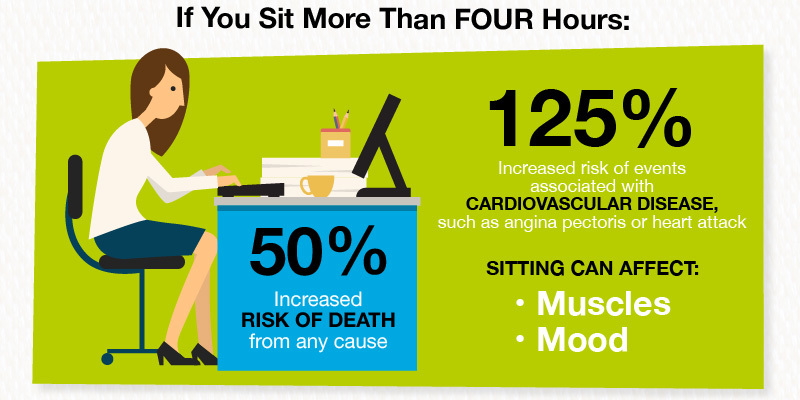 Prolonged sitting – the risks So, what are the risks of prolonged sitting? 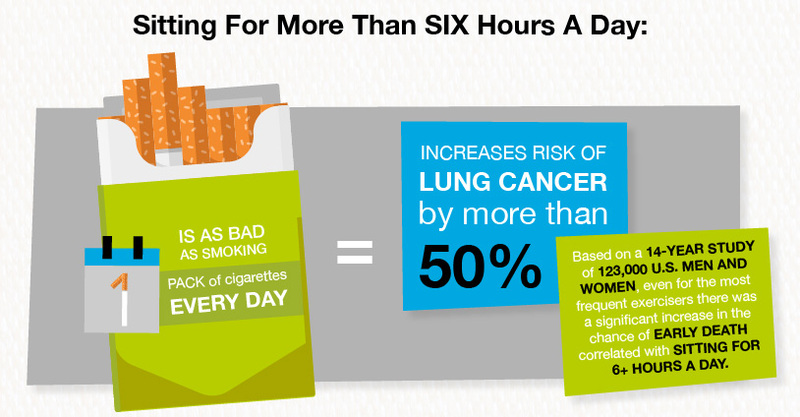 There are many associated health problems, but perhaps the most striking is its impact on the likelihood of death. According to the American Cancer Society, men who sit for more than six hours have a 20 per cent higher chance of dying than those who do so for less than three; in women, that figure rises to 40 per cent. Various studies have also linked excessive sitting with conditions such as type 2 diabetes and even cancer, as well as issues such as being overweight or obese. 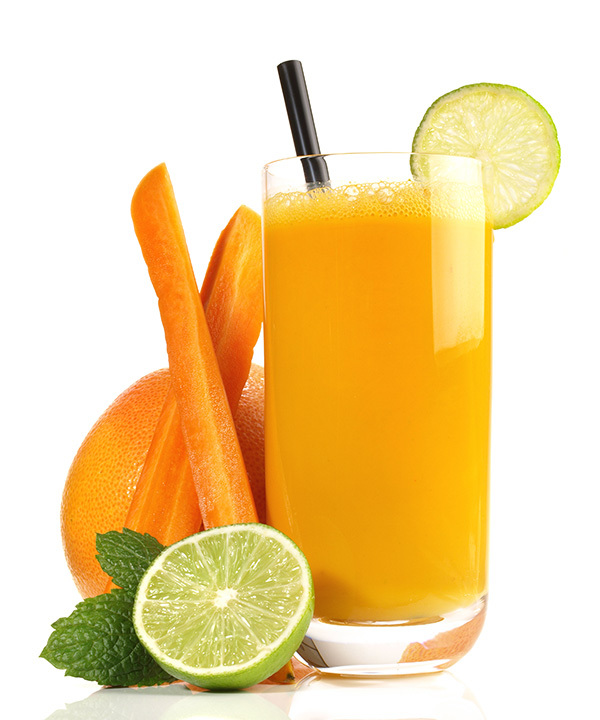 It can also potentially weaken muscles and bones. What’s particularly important to bear in mind is that these risks remain even if you exercise regularly. 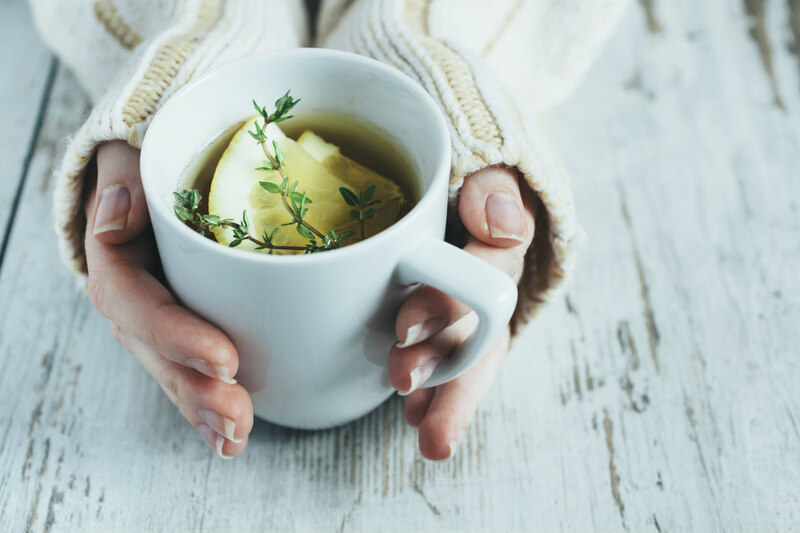 For example, you still risk the ill effects of a sedentary lifestyle if you usually sit all day at work, go to the gym at the end of the day, and spend the evening relaxing on the sofa. A variety of things happen to the body when we sit. Scientists believe that sitting for a long time slows the body’s metabolism, essentially meaning we’re less able to break down body fat, and regulate blood sugar and blood pressure. 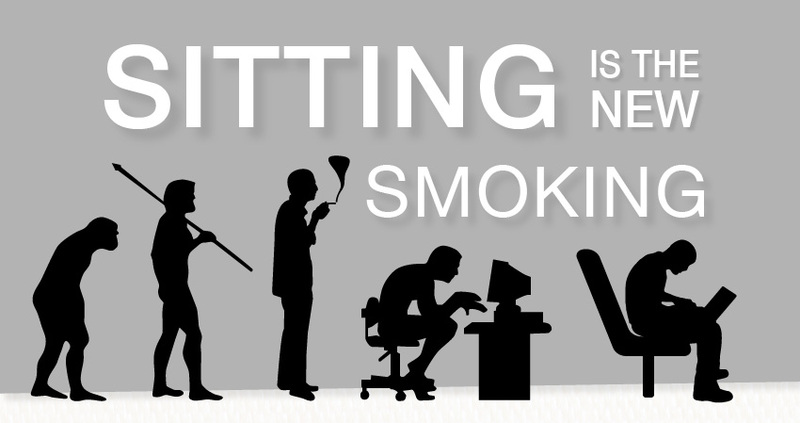 Certainly, sitting expends almost no energy at all, which isn’t good news for our waistlines. During extended periods of sitting, the enzymes that break down body fat drop, while after two hours, good cholesterol falls significantly too. Plus, electrical activity in the legs shuts off, and calorie burning falls dramatically. 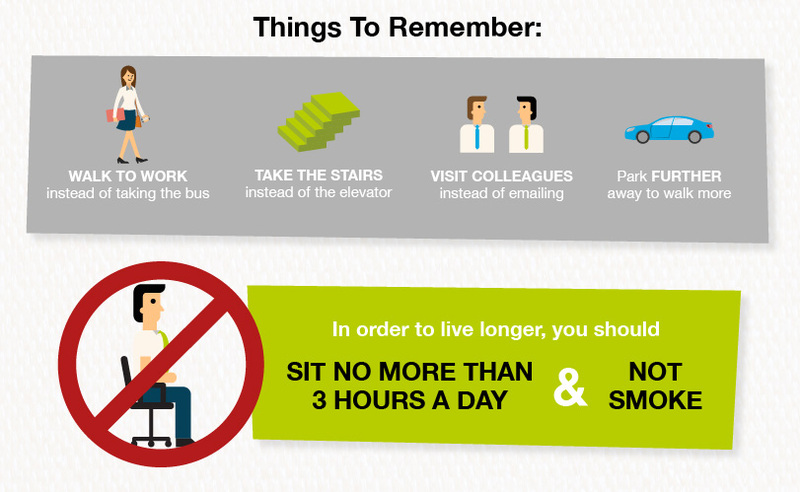 Tips on sitting less So, how can we sit less? Swap sitting in the office for standing: Standing desks are great for helping to break the cycle of extended periods of sitting. However, bear in mind that you shouldn’t stand all day either, as this can cause musculoskeletal problems. 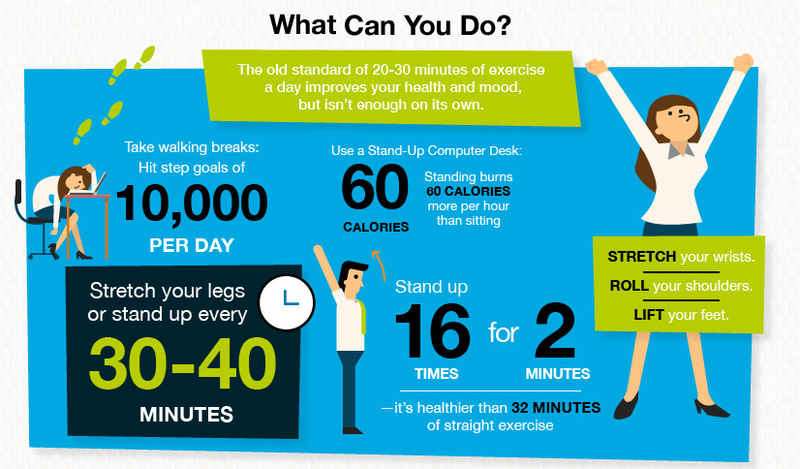 Instead, regularly switch between sitting and standing, aiming for a 50/50 balance. Stand on public transport. Choose the stairs instead of the elevator. Good posture is really important when it comes to maintaining a healthy body. Not only can standing up straight help you to feel more confident, it actually stops negative changes in your body. Working on your posture can help reduce back pain, as it stops you putting strain on your muscles and stress on your spine. Constant slouching can actually compress nerves and blood vessels too, which can mean that you end up in constant pain. Surprisingly, your posture can also have an impact on your weight, as making sure you stay straight and upright throughout the day can actually burn calories. This is because you remove tension from your body so everything is better able to function. A good posture also helps to improve your breathing, core strength and even your memory, showing that standing up straight is definitely the best option. But how do you improve your posture? Here are some simple tips that could make huge differences. Yes, slouching in a chair may seem more comfortable, but it will not help your posture and could result in pain over time. You should get into the habit of sitting in chairs correctly, with your back straight and your feet flat on the floor. This may not feel overly comfortable at first, but as you continue to sit like this, your muscles will get used to it and allow you to correct your previously slouched posture. Sticking your bottom out creates a curve in your spine that can result in lower back pain. There are a number of things that can cause this posture, such as pregnancy, wearing high heels and extra weight across your stomach, however, you can do things to reduce it. Doing exercises that help build up your core and bottom – such as crunches and squats – can help you stand straighter and reduce your posture. This will align your spine so it still curves naturally but not overly so. This is a common stance as it feels comfortable, but leaning on one leg is really not good for your posture. Standing like this means you are putting too much pressure in your lower back and one of your hips, which can lead to muscle imbalance and strain. Avoiding leaning on one leg will ensure you avoid this and keep your posture straight. You should also avoid carrying backpacks on one shoulder, as this can cause similar problems. 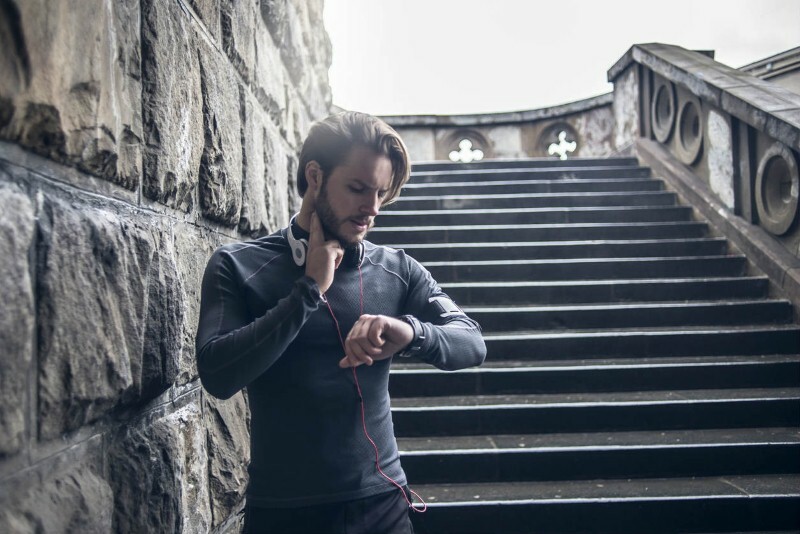 Your heart rate: What should it actually be?